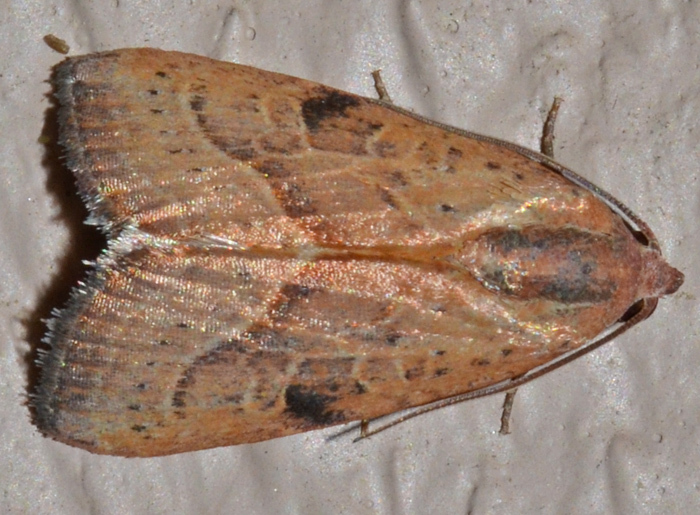 Galgula partita - Hodges#9688 (The Wedgeling). 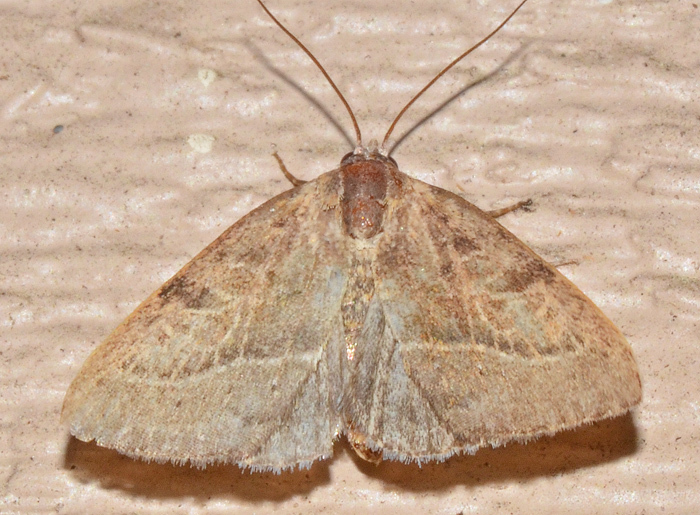 This rather common moth lives in moist forest habitats throughout much of the US. It is called the Wedgeling. My specimen looks a bit beaten up and worn but I believe it's a male. Males are yellow-brown to orange-brown while females are dark maroon. The faint forewing markings are more evident in the lighter colored males. The larvae feed on wood sorrel (Oxalis sp.). The small photo (taken on 4/9/16 at 10 pm) shows a different specimen.